MexZotic is an On-Line Jewelry Store Club with three (3) Membership Levels to suit your time management and your budget. There are no set-up costs or up-front costs to join. The information enclosed in this section serves to give you a good sound introduction to Mexican Silver Jewelry, understanding the Business and the various positions available, more importantly understanding the opportunity, how to get started and what to expect. MexZotic has three (3) Membership Levels to choose from. Get together with family or friends and start your very own On-line Mexican Silver Jewelry business. Full-time or Part-time business model allows for maximum benefits through wholesale and retail sales, direct sales and internet sales. Importers receive Customized web site, management software and enjoy all the same benefits as the other levels PLUS the ability to appoint and service their own Distributors and Resellers. Cost is $1000 per year. Part-time business model allows for supplemental or part-time income stream through retail sales, direct sales, Host Party Events plus additional benefits. Distributors receive a Replicated web site and custom management software, access to discounted solid silver jewelry and great specials. Cost is $29.95 per month. Part-time business model allows for supplemental income stream through retail sales and Host Party Events. Resellers receive a Unique Member ID login, custom management software and access to discounted solid silver jewelry and great specials for resale or to build your own collection. Cost is $9.95 per month. The On-Line Store is where you can browse jewelry collections and go shopping. You must create a “Guest” account with delivery address in order to complete your transaction. Alternatively as a paying member, your Membership Level discount pricing will be displayed next to the Recommended Retail Price. The information covered in the Membership page allow you to join and will give you a detailed explanation of what the membership benefits are, the differences and features of each membership Level and how to join. The tabs accessible in the Members Only Tab once joined, grants access to the Administration Software were you can update your profile, make membership payments, check orders and check your sales profit etc. The information covered in the Business page will give you a detailed explanation of what the business is, what marketing tools are available to you, how to get started and other useful tips. 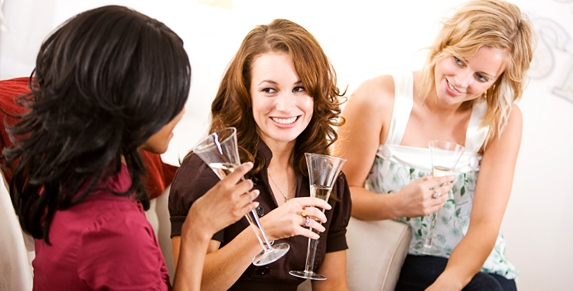 The information covered in the Host a Party page will explain the benefits and free gifts available to a Host or Hostess for having a Jewelry Party and give you lots of useful tips in organizing a successful event. The information and videos in the Silver Facts page tells about the history of Mexican Silver from the early beginnings and gives you an insight into this fascinating manufacturing and silver mining town in the mountains of Mexico. The information covered in the FAQ page will answer any questions that you may have and is sub-categorized to cover general questions and also specific Membership Level questions. The information contained in the Sales Support (members only) page is where you will find useful sales support materials such as business card template, Tri-Fold Brochure and Host Party Event invitation post cards. All are available for free download to our Members. The information covered in the Contact-Us page will allow you to contact us via email, direct to your specified query. You can contact Customer Service, Sales (support), IT Support and Info for general enquiries etc. solid sterling silver 0.925 jewelry. MexZotic is NOT a Multi-Level-Marketing (MLM) business. MexZotic makes it easy for new Members to get started with a choice of three levels to suit every style and budget. Choose from Importer, Distributor or Reseller status. Check out all of these Member Benefits in this Members Area. Now that you have registered, please go to your profile page and complete your Membership.